DO-68062-06 was succesfully added to your cart. I have a 2001 gauge trying to read my exhaust vacuum on my pellet stove. It says to use an 1/8 hose but mine came with a hose just a little bigger. Will there be a reading difference with a slightly larger hose? No, because the hose only brings the pressure being measured to the gauge; the reason for the specificaiton of 1/8th inch was the fitting size. 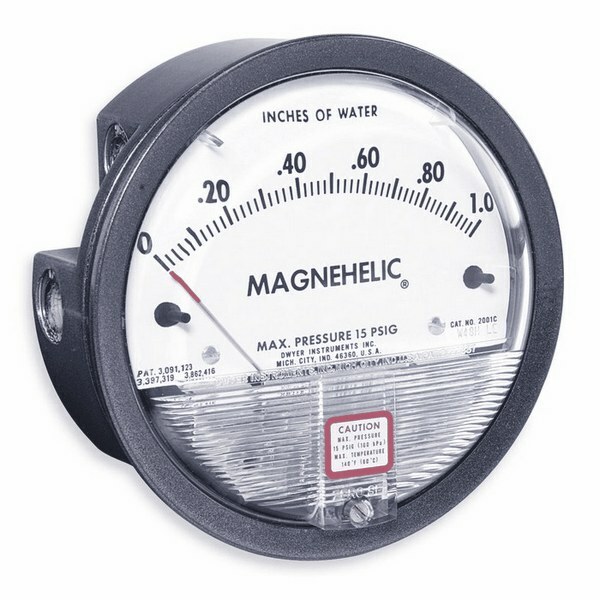 do I need hoses to work with the magnehelic gauge? Well, yes, or some kind of piping or tubing. This unit is designed to read Delta P internally. It has FNPT fitiings that will accept a variety of pipe medias, provided they have MNPT fittings or other couplings with a male NPT thread.